It might just be a musical exercise he's sharing with the public. It's definitely a weird obsession. 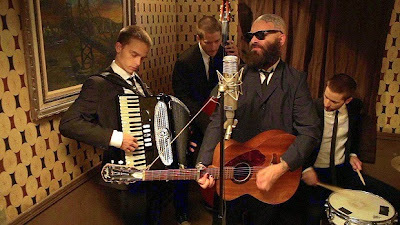 But under the name of Tim Timebomb & Friends, Tim Armstrong, best known as front man for the punk band Rancid, is engaged in a crazy project that slips the surly bonds of genre. Basically Armstrong/Timebomb backed by various musicians -- including band mates in Rancid and other musical endeavors -- has been releasing a song a day available on a website, a YouTube channel and Spotify. It all streams for free, but if you want to download, most of the songs are available for download at the usual places and more are being added every week. That's right, a song every day, Monday through Sunday, including Christmas, Easter and the Fourth of July. There are nearly 300 now. And -- assuming he didn't suddenly quit this week -- there are several more available while you're reading this than I was aware of when I was writing it. "Some of the songs are my own originals, some are collaborations I've done with other artists, bandmates, and friends," Armstrong explains on the website. "We play a lot of different style from Punk, Ska, Reggae, Country, Roots, etc." He kicked it off last October 29 with an original rocker called "Honor is All We Know." Says Armstrong, "... I wrote this song during the financial bailout of Wall Street, addressing the idea of hard times and importance of standing by your friends." There are reworkings of Rancid songs (among them "Dope Sick Girl", "As Wicked," "Ruby Soho" and, of course, "Timebomb," which has an arrangement closer to Tom Waits than Rancid); songs culled from his 2012 musical film series Rock 'n' Roll Theater; covers of other punk tunes (Bad Religion's "Los Angeles is Burning" done on acoustic guitars; "Step Down," a song by New York punks Sick of It All, an instrumental version of The Jam's "In the City," Social Distortion’s "Bad Luck!" featuring a steel guitar and Armstrong singing in a fake British accent) and various takes on some classic rock songs. He does Elton John's "Saturday Night's All Right for Fighting" as ska, Van Morrison's "Brown-Eyed Girl" as a reggae instrumental, and Stealer Wheel's "Stuck in the Middle With You" re-imagined, according to Armstrong, as a Motörhead song. Songwriters from Elmore James to Irving Berlin, from Dee Dee Ramone to Tom Lehrer, from Ernest Tubb to Francis Scott Key are represented in this growing batch of tunes. There are numbers by Tom Waits, Bob Dylan and Elvis Costello, covers of hits and obscurities by Otis Redding, Rolling Stones, The Who and Bruce Springsteen. 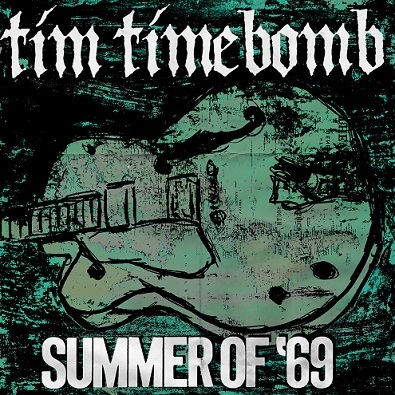 Armstrong even turns a song I used to hate -- "Summer of 69" by Brian Adams -- into one that I kind of like now. Maybe it's the piano riff lifted from "What I Say" by Ray Charles. There are several reggae and ska-flavored numbers here, which isn't surprising if you're familiar at all with Rancid's work. But I never suspected that Armstrong was such a sucker for country and folk songs. Among the hillbilly tunes he has done so far are John D. Loudermilk's "Abilene"; the oft-covered "Long Black Veil," (done as an acoustic instrumental); Johnny Horton's "When It's Springtime in Alaska"; requisite murder ballads like "Banks of the Ohio" and "Little Sadie" (the latter being 100 times better than Bob Dylan's version on Self Portrait); a reverent take of Charlie Rich's "Sitiin' and Thinkin'"; Hank Williams' "Ramblin' Man" (kudos here to honky-Tonk pianist John Morrical and steel man Doug Livingston); and Woody Guthrie's Depression-era tale "Hard Travelin'." "I Wanna Be Sedated" -- with fiddle, pedal steel and country singer Lindi Ortega trading verses with Armstrong -- isn't the first country cover of The Ramones' classic. (Texas country rockers Two Tons of steel did it more than 10 years ago.) But this one's a dandy. Perhaps the best country surprise in the Timebomb project so far is “(Between the Two of Us) One of Us Has the Answer." This is an original that Armstrong co-wrote with Nashville songwriter Dave Berg with pretty background harmonies by Aimee Allen from a band called The Interrupters. Armstrong apparently also is fond of the hot jazz of the '20s and '30s as evidence on the Timebomb recordings of "St. James Infirmary," "Sheik of Araby," and " St. Louis Blues." He also has fished in the jump-blues pool, (“Cho Cho Ch’ Boogie by Louis Jordan), mined the do-wop hills (“How Will I Know” by The Strands and “If You See Mary Lee” by The Rainbows) And he even tries his hand at early '60s teen pop with "Dance, Dance, Dance" -- not The Beach Boys' song, but a perky obscurity originally recorded by a group called Pearl & The Deltars. Reading Armstrong's notes that accompany some the songs is fun also, not to mention informative. For his cover of The Everly Brothers' "Bye Bye Love," he writes, "Husband and wife Boudleaux and Felice Bryant were among the first in Nashville to make a full-time career of songwriting. They wrote some of the most popular tunes of the 50s and 60s, and Many of the Everly Brothers’ hits. The Bryant’s had some 1500 songs recorded by over 400 artists. RESPECT!" Respect, indeed. I already was a fan of the Bryants' works, but I bet a good number of the younger Rancid fans checking out Tim Timebomb weren't aware of these seminal songwriters. Armstrong is doing a service to the culture, so even though I’m not crazy about the way he recites the lyrics of "Bye Bye Love" instead of singing them, I have to admire what he's doing here. Rancid never has been one of my favorite bands, though, having seen them live a couple of times back in the '90s, (Lollapalooza '96 in Phoenix and Freedom Tibet '97, New York), I've always considered them a few cuts above virtually all the other "skate-punk" bands that flourished in the mid '90s. (RESPECT!) But this fun and daunting project has given me a new appreciation for Armstrong and his musical pals. 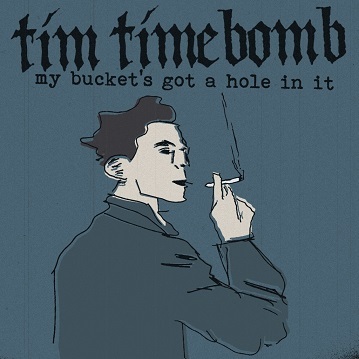 Which reminds me: I need to go listen to today's Tim Timebomb offering.